An order passed by the High Court of Jammu and Kashmir on May 12, 2015, is likely to change the landscape of the state. The court had ordered felling of the female species of all “Russian” poplar trees and banned growing poplar in the state. The species, introduced in the 1980s under a World Bank-aided social forestry initiative, now dominates the state’s skyline. Though there are no official figures, estimates say that the tree constitutes a third of the state’s tree population. Over the past decade, media reports have blamed the tree for triggering allergies and respiratory ailments in the months of April and May when it releases showers of seed. In one of its observations, the court noted, “It is a common knowledge that pollen seed of Poplars is adversely affecting health of general public, mostly of elderly people and children. The pollen seed of these trees has given rise to chest diseases in Kashmir, which can become life threatening for them.” The court also ordered a scientific investigation into whether the tree was responsible for the large-scale allergy cases. The Directorate of Health Services and S K Institute of Medical Sciences, Srinagar, were entrusted with the responsibility. Following the court order, the government started felling poplar trees in 2015, but the intermittent political unrest in the state slowed down the process in 2016. This year felling has started in Anantnag, Budgam, Srinagar and Kupwara. Though state-wide figures are not available, in Anantnag and Kulgam around 0.7 million and 0.2 million poplars have been felled since 2015, as per data provided by the district administrations. The state has 22 districts. 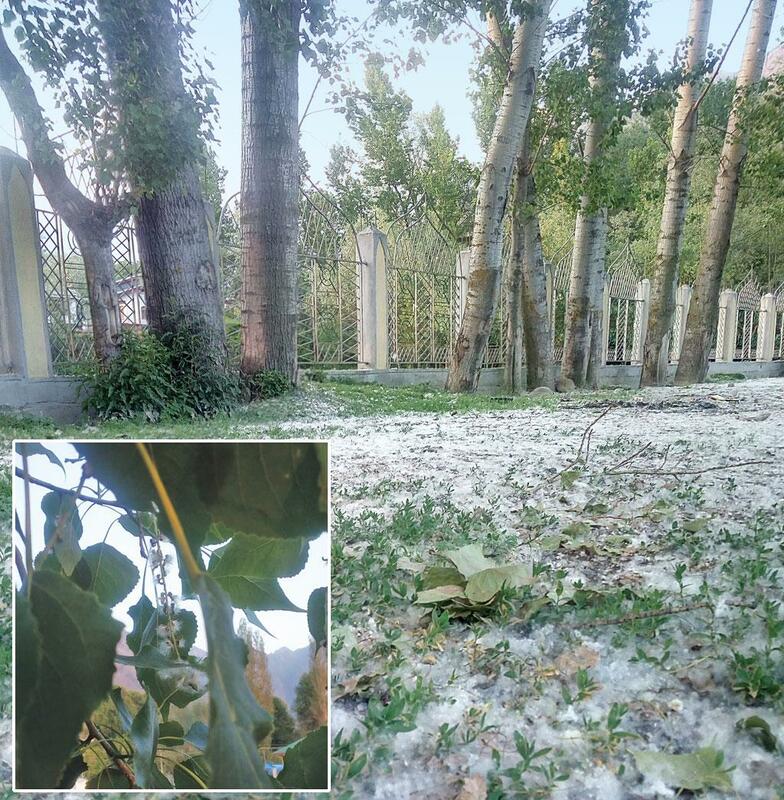 The issue started in 2013 when Ghulam Mohammad Bazaz of Srinagar filed an application with the deputy commissioner demanding that his neighbour be ordered to cut the poplar trees in his backyard because the tree cotton was causing health problems for his children and mother. That case led to a chain of events that resulted in the May 12, 2015, order. The court order also has the plywood industry worried. Afaq Ahmed Munshi, chairperson of All Kashmir Plywood Manufacturers Association, says, “We have asked the government to deny permissions for setting up new plywood units in Kashmir. It takes around Rs 4 crore to set up a unit. But if there is no raw material, the owner will not be able to make profit,” he laments. Poplar wood was cultivated in the state to sell it for making boxes for apple packaging. The wood was also sought by pencil and plywood manufacturers outside Kashmir and this demand made it a profitable venture. Currently, 29 plywood factories are registered with the Directorate of Industries and Commerce. Irshad Ahmed, a plywood factory owner in Srinagar, says there are at least 5,000 people working in the plywood industry in Srinagar alone. An even larger number, mostly rural farmers, earn their living by growing poplar trees, or engaging with other trades linked to it. The ban on poplar cultivation has destroyed the source of their livelihood. Manzoor Ahmed Dar, a Kulgam poplar farmer, suffered heavy losses when the district administration cleared his poplar plantation in 2015. “My trees were just three years old. I could not sell them at the rate I wanted to,” he says. Due to this ill-timed chopping of the tree, poplar farmers are forced to sell the wood for Rs 4,000-5,000 per tonne. In other states, such as Punjab, the market rate is around Rs 7,000 per tonne. Report on the investigation ordered by the court was compiled and submitted in July 2015, a copy of which was accessed by Down To Earth. It states that the “majority of the pollens bearing high potential of triggering allergic disorders” were present in the atmosphere simultaneously with poplar seeds. It also states that the most common culprit in triggering allergies is park grass, called dramun in Kashmiri. The report does not absolve poplar but says that its pollen account only for 18-20 per cent of the cases. In 2015, his department compiled a list of common allergens based on prick tests (which involve injecting an allergen under skin and monitoring the reactions). In the tests, park grass triggered allergies in 73.5 per cent of the subjects, pine trees in 62.7 per cent, Chinar in 59.3 per cent and poplar pollen in 18-20 per cent. 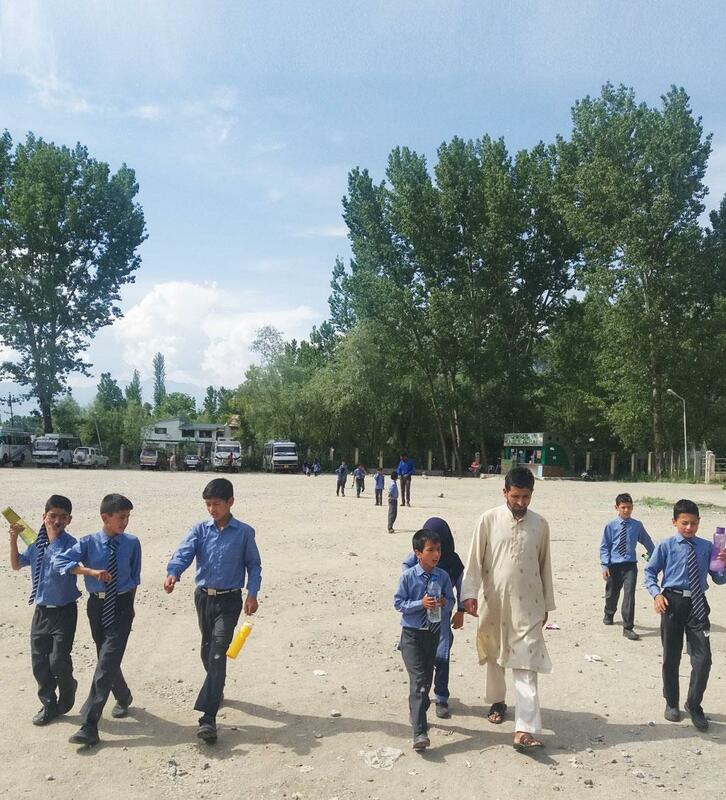 “Should we cut chinar and pine too?” he asks. Environmentalists and civil society activists are concerned about another aspect of felling poplar. Although a tree census has not been undertaken, estimates say there are over 15 million poplars in the state.“If we cut 15 million trees, it could have a huge impact on the eco-sensitive zone of Kashmir,” says Fozia Qazi, an activist and professor at the Islamic University of Science and Technology, Pulwama. Botanists and forestry experts are also aghast that the media holds the “pollen” from “female” poplars responsible for the allergies. “Female poplar trees that shed the cotton do not produce pollen,” says Manzoor Tak, who recently retired as the Chief Conservator of Forests, Jammu and Kashmir. He explains that “poplar cotton” is not pollen, but contains a seed.“Females produce seeds, males produce pollen. That is a basic lesson in botany,” he says. So cutting the female trees is wrong. Tariq Masoodi of the Department of Forest Ecology, S K University of Agricultural Sciences and Technology, vehemently says that poplar cotton lasts only for two weeks during the spring season and is produced only in mature female poplars. The cotton shower can be reduced considerably by timely pruning of the trees or harvesting them 8-10 years before they mature. Qazi, Tak, Shah, Masoodi and Sajad Gangoo from the Department of Forestry, S K University of Agricultural Sciences and Technology are planning to approach the court to ask for a review of its decision. “Felling poplar tree would be an ecological disaster. We have to avert it,” says Qazi.